Protect sensitive electronic and laboratory equipment with Ansul CleanGuard extinguishers from Safety Emporium. Target organ effects indicate which bodily organs are most likely to be affected by exposure to a substance. Casarett and Doull's Toxicology, the Basic Science of Poisons states that most chemicals that produce systemic toxicity do not cause a similar degree of toxicity in all organs but usually produce the major toxicity to one or two organs. These are referred to as target organs of toxicity for that chemical. Specific target organ toxicity - single exposure, (STOT-SE) means specific, non-lethal target organ toxicity arising from a single exposure to a chemical. This is an example of an acute effect. Section 8 of Appendix A is devoted entirely to STOT-SE. Specific target organ toxicity - repeat exposure (STOT-RE) means specific target organ toxicity arising from repeated exposure to a substance or mixture. This is an example of an chronic effect. Section 9 of Appendix A is devoted entirely to STOT-RE. An organ is a collection of tissues joined in a structural unit to serve a common function in the body. Examples include your heart, lungs, brain, kidneys, liver, skin and many more. Because different types of organs are composed of different types of tissue, each with its own unique physical properties, structure, and function, chemicals often affect different organs in different ways. For example, alcohol is processed by your liver, and repeated exposure (through chronic alcoholism) will damage the liver more than other bodily organs. And asbestos (a solid and insoluble material) which usually enters the body through inhalation can cause severe damage to the lungs, however it does no direct damage to organs it can not reach such as the brain. Get your GHS-compliant labels and signs from Safety Emporium. Category 1 substances have produced significant toxicity in humans, or, on the basis of evidence from studies in experimental animals, can be presumed to have the potential to produce significant toxicity in humans following single exposure. Category 2 substances, on the basis of evidence from studies in experimental animals, can be presumed to have the potential to be harmful to human health following single exposure. Category 3 substances produce transient (short duration or temporary) target organ effects such as narcotic effects or respiratory tract irritation. Category 1 substances have produced significant toxicity in humans, or, on the basis of evidence from studies in experimental animals, can be presumed to have the potential to produce significant toxicity in humans following repeated or prolonged exposure. Category 2 substances, on the basis of evidence from studies in experimental animals, can be presumed to have the potential to be harmful to human health following repeated or prolonged exposure. While SDS's and OSHA refer specifically to organs that can be damaged by a substance, the medical community also refers to organs targeted by diseases or other conditions. For example, the medical literature discusses target organ damage to the brain, heart and kidneys in the context of hypertension (high blood pressure). These target organ effects can manifest themselves even before hypertension is diagnosed or progresses from the pre-hypertensive state. Other diseases/conditions target other organs, of course. "Casarett & Doull's Toxicology: The Basic Science of Poisons, Eighth Edition", Hardcover, 1,454 pages, 2013. Estimated price $120.73. Info and/or order. "Lu's Basic Toxicology: Fundamentals, Target Organs, and Risk Assessment, Sixth Edition", Hardcover, 430 pages, 2012. Estimated price $77.02. Info and/or order. "Goldfrank's Toxicologic Emergencies, Tenth Edition", Hardcover, 1,904 pages, 2014. Estimated price $319.71. Info and/or order. "Managing Hazardous Materials Incidents Volume III: Medical Management Guidelines for Acute Chemical Exposures", Paperback, 110 pages, 2012. Estimated price $12.99. Info and/or order. "Pick Your Poison: How Our Mad Dash to Chemical Utopia is Making Lab Rats of Us All", Hardcover, 256 pages, 2011. Estimated price $21.57. Info and/or order. Chill out with laboratory condensers from Safety Emporium. SDS's are required to report know target organ effects/toxicities (if any) in Section 2 of the SDS, symptoms/effects of exposure in Section 4, and any toxicological information in Section 11. It is important to recognize that under the classification system used by the HCS and GHS, Category 1 designates the greatest hazard and Categories 2, 3, and 4 indicate decreasing levels of hazard. When working with chemicals that have target organ effects/toxicities it is critical to prevent exposure. This is especially true if you have a pre-existing condition, disease or injury to that particular organ. Read the SDS to determine the most effective personal protective equipment (PPE) for dealing with the chemical and be certain to minimize use and release of the chemical in the first place. 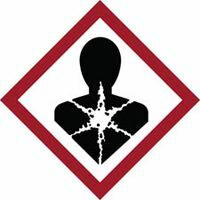 Effects of Toxic Substances on Organ Systems and their Development at ATSDR lists chemicals in each category of organ toxicity that are of concern.Great resource! GHS 6, Part 3, Health Hazards discusses STOT-SE at Chapter 3.8 and STOT-RE at Chapter 3.9 in considerably more detail than the HCS's Appendix A. An OSHA interpretation letter titled OSHA's Amended Hazard Communication Standard (HCS 2012) about classification criteria for Single Target Organ Toxicity. An obsolete OSHA interpretation letter titled Definitions of target organ and hazards of chemicals under the Hazard Communication Standard. Another obsolete interpretation letter titled The HCS's requirement for target organ effects on labels for shipped containers of hazardous chemicals. One more obsolete letter, Clarification of the terms "appropriate hazard warning" and "mandatory". The effects of treatment on target organ damage in hypertensive disease at NIH's PubMed Central. See also: hazard statements, health hazard, pictograms, precautionary statements, RTECS, and toxic. Additional definitions from Google for target organ effects and target organ toxicity; definitions from OneLook for target organ effects and target organ toxicity. Entry last updated: Saturday, July 30, 2016. This page is copyright 2000-2019 by ILPI. Unauthorized duplication or posting on other web sites is expressly prohibited. Send suggestions, comments, and new entry desires (include the URL if applicable) to us by email.